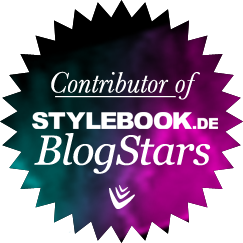 Instyle Box (summer version) – what was in there? 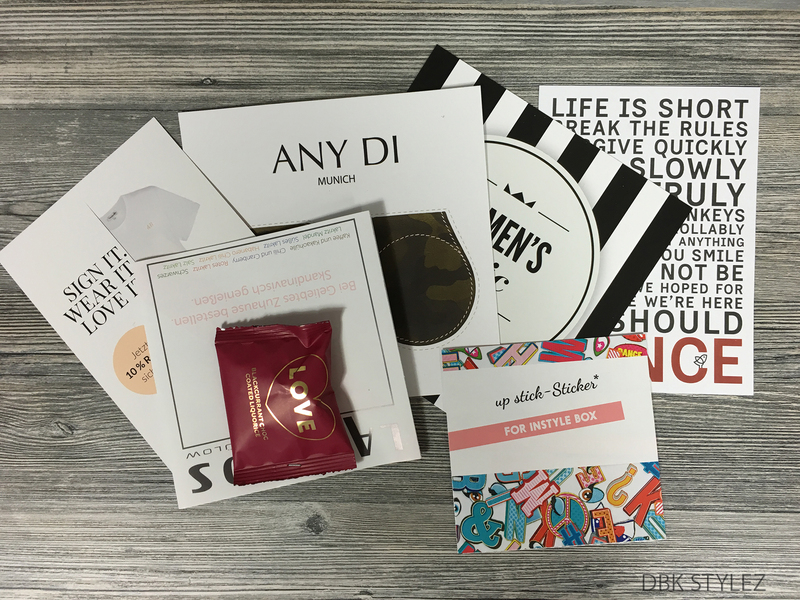 It is time for the summer Instyle Box. When I think about summer I imagine the sun, the heat, pool time and many beautiful bright colors. I identified the summer box by Instyle with brightness. Let’s look inside and check out, whether the included products are summer fit. 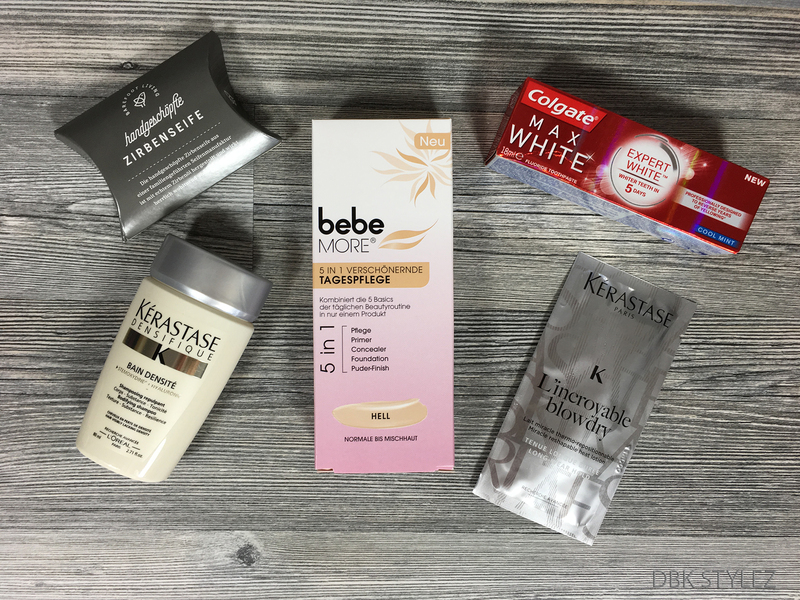 There are following care products in the box: 5 in 1 day cream by Bebe, a sample for a heat protection lotion by Kérastase, a bodifiyng shampoo by Kérastase, a mini soup by die Zibre and a mini toothpaste by colgate. There are some make-up products as well. 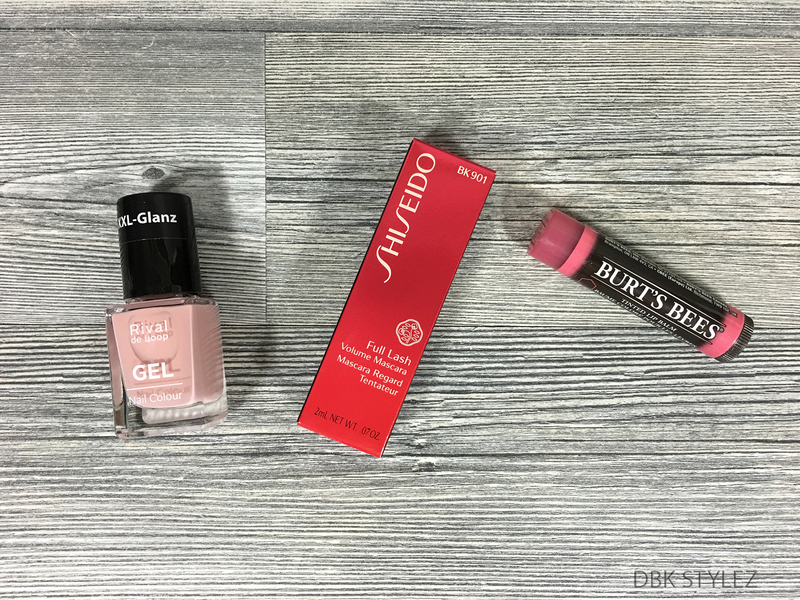 I found a girly pink nail polish by Rival de Loop, a miniature of the volume mascara by shiseido, and a 100% natural tinted lip balm by Burt´s Bees. I also found a new interesting beauty thing. It´s a beauty drink with collagen and hyaluronic acid by quickcap. Actually, I didn’t know that these two chemical substances can be absorbed with our stomach. I always thought that they can be used externally. But I found enough information about it and it turned out to be true. These substances can also be taken as food or drinks. This means that this drink (in case of the regular use) positively effects on skin, joints and connective tissue. So I wanna try more of these drinks as they are different. 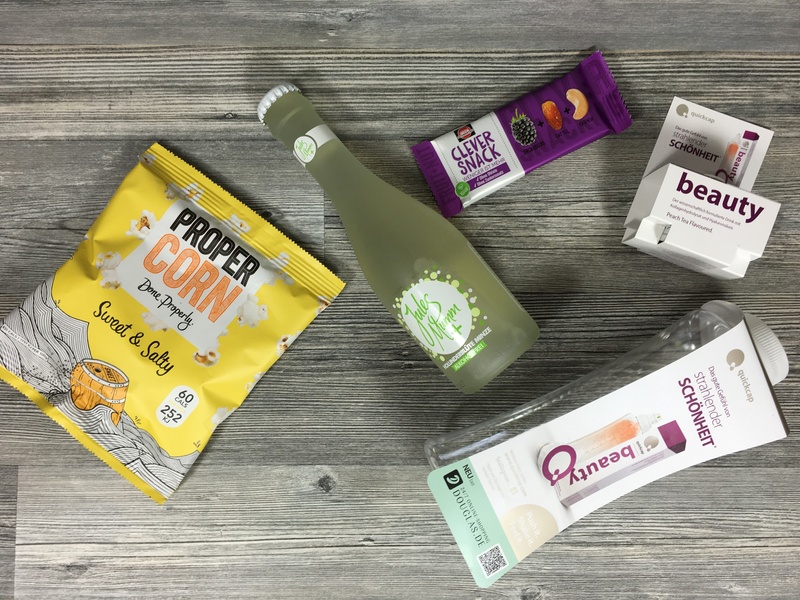 Sometimes I think that Instyle Box isn´t a beauty box but a kind of snack box. There are so many different snacks in there. To be honest, I personally don´t like it. It´s way too much food in there. This time I found a sweet and salty popcorn by done properly, a clever snack bar with cashews, dates and blackberries by schwartau, and a red licorice chocolate. There is also a drink in the box. It´s a kind of nonalcoholic wine, which is very popular in Germany. Well, I have to say that all this stuff is nothing for me as I try to eat healthy. I also can´t stand licorice. 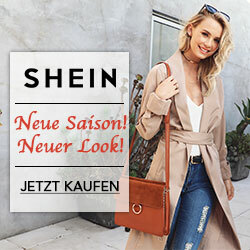 I personally would prefer to find less snacks in the box but I know how the Germans love it, so I don´t think Instyle Germany will change it. Unfortunately, there are no accessories this time. The only thing I found in there was a so called bonfim bracelet. In my case there is a statement in Portuguese saying something about health. Traditionally they are knotted three times on a wrist (every knot symbolizes one wish). 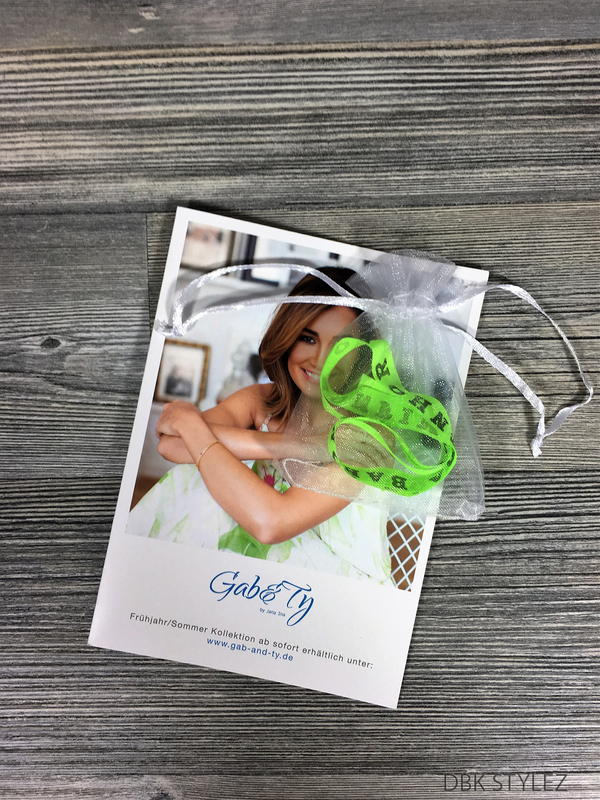 When the bracelet falls off, your wishes will come true. Actually, I think it´s quiet nice but I don´t like the material of the bracelet at all. That is why I won´t wear it on my wrist. There are also some fashion, chocolate and soup coupons. The best think is nonetheless a coupon for 3 e-papers of the Instyle magazine. 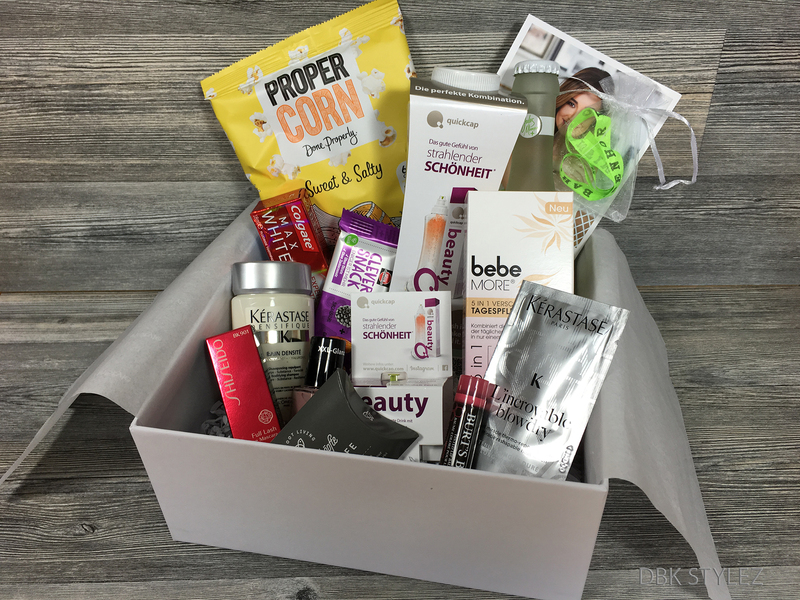 In general I am satisfied with the summer beauty box by Instyle. I would appreciate less snacks and more skin care and make-up articles in there. In my last review to the Instyle box I gave this issue the last chance. After that I wanted to decide, whether I would order it further or not. To be honest, I do not know yet, whether I should or shouldn’t, as this box seems to be better than the spring box. So the question is still open.